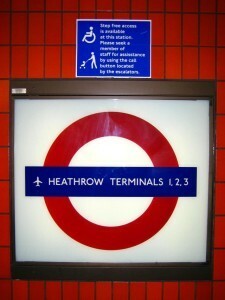 Monday – 16 December 1977: The Piccadilly Line extension to Heathrow Central (now known as Heathrow Terminals 1, 2, 3) is opened by the Queen, providing the most inexpensive way of travelling to the airport from central London (just 80p at the time). Tuesday – 17 December 1809: A 'Treaty of Peace' is framed to bring an end to ten weeks of disruptions at the Theatre Royal, Covent Garden, where audience members staged 'Old Price Riots' in protest at semi-monopolistic rises in seat prices. Wednesday – 18 December 1890: The world’s first ‘deep-level’ electric tube line opens, connecting Stockwell and King William Street. The 'City & South London Railway' would later become a part of the Northern Line as we know it today. Thursday – 19 December 1154: King Henry II of England is crowned at Westminster Abbey. Friday – 20 December 1909: The distinctive Arding and Hobbs department store near Clapham Junction is destroyed by fire. Having been rebuilt, it would become a branch of the now-defunct Allders chain. It is now a Debenhams. A country gentleman should bring his lady to visit London as soon as he can, that they may have agreeable topicks for conversation when they are by themselves. Photo by Katja via the Londonist Flickr Pool.